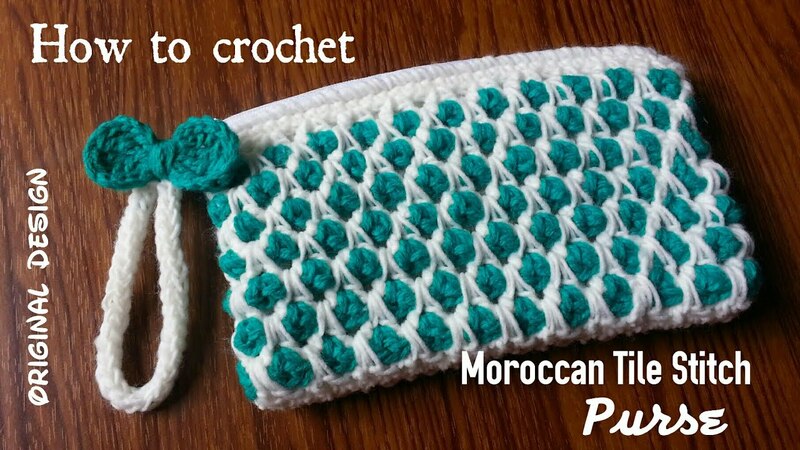 Moroccan Tile Stitch is one of those crochet stitches that is very interesting to look at, and can be done in an infinite color schemes! The texture is dense and perfect for more solid projects like afghans, bags or baskets. The colorful texture looks amazingly cool it’s very decorative and creates a strong visual impression, it’s almost like a stained glass effect. Once you understand how to crochet this stitch you’ll be surprise to realize that this crochet stitch is very easy. This Super-Cute Crochet Purse Is Very Easy To Work Up, In No Time At All!